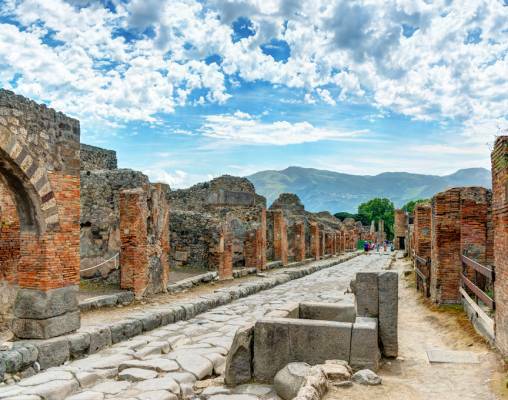 Italy is overflowing with ancient history, none more prevalent than the crumbling ruins of Pompeii and the few remains of the catastrophic eruption of 79AD that turned a once-thriving city into a virtual ghost town. The architecture is vast and varied; from the quirky flamboyance of Palermo to the medieval influences of Naples. Arrival day in Budapest, where you will be met and transferred to the Four Seasons Hotel Gresham Palace for a one-night stay. Enjoy a welcome reception dinner in the elegant surrounds of this art nouveau landmark where you can meet your fellow travellers on this highly anticipated journey. Budapest is two cities separated by the River Danube. The old city of Buda and the imposing Royal Palace dominate the city with stunning views across the Danube to the commercial heart of Pest. Our morning city tour includes the Royal Palace, St. Mathias Church and a panoramic view of the city from Gellert Hill. We enjoy a drinks reception in the impressive Royal Waiting Room at Budapest Nyugati station before boarding the Golden Eagle Danube Express. Settle in to your cabin and enjoy a late lunch as the train heads out of the Hungarian capital and south across the border into neighbouring Slovenia and onto Italy. 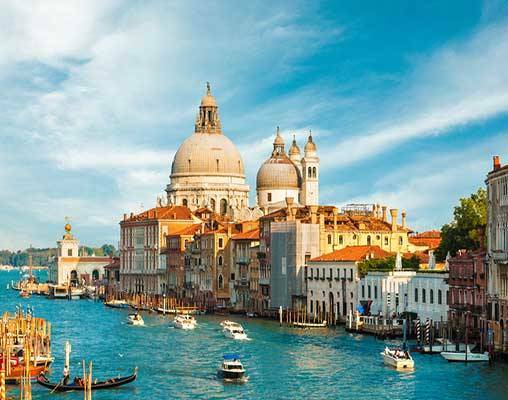 Venice is a truly captivating city of romance; its unrivalled beauty takes away the breath of first time visitors and regulars alike. 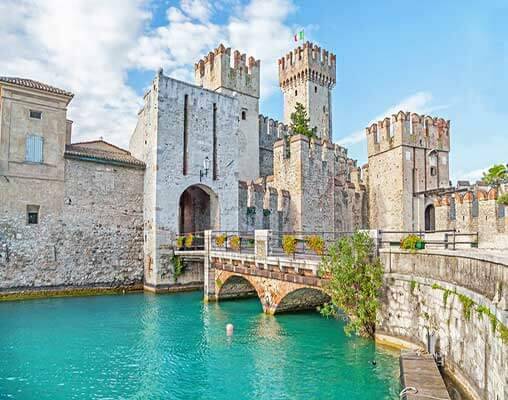 The Golden Eagle Danube Express will arrive in Santa Lucia station at breakfast and guests will have the opportunity to take a morning tour around the highlights of this romantic city followed by free time in the afternoon. This evening enjoy dinner in the city before returning to the train late in the evening for our departure as we head down the eastern seaboard of Italy towards our next destination. A touring options is available this afternoon where you could visit the Ferrari factory (additional charges applicable) in nearby Maranello to take a drive around the test-track in a classic race car. Today we spend the day touring the charming Apulia region, including visits to the unique architectural sites of Matera and Alberobello, both declared UNESCO World Heritage Sites, followed by a guided tour of the Florentine style old-town of Bari and its domineering fortress and castle that has stood guarding the port since the 12th century. This evening as we sit down for dinner our train travels across central Italy through the Matese Hills. Wake up in Agrigento, home to Italy’s most impressive Greek ruins. Visit the UNESCO World Heritage site of the Valle Dei Templi with a private tour around the remains of the ancient city. This afternoon, continue onto Ragusa. This quaint small town has plenty of character with its many grey stone houses and churches dotting the hillside, making for wonderful picture postcard scenery. Get familiar with local delicacies during a cooking demonstration at a nearby hotel, then take a brief walking tour of the historic old-town. Tonight the train continues on to Syracuse. The former Byzantine empire was founded and raised at our first destination of the day in Syracuse. 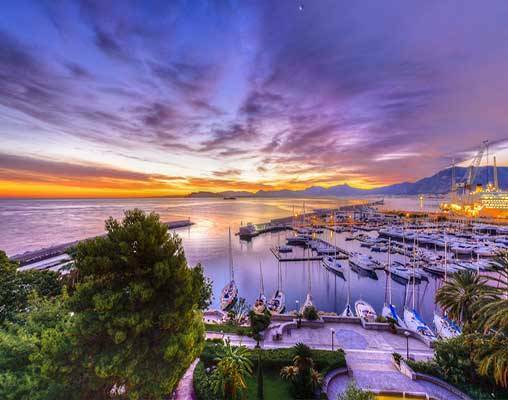 We’ll take a walking tour before escaping the hustle and bustle of the city itself and enjoy the view from the water with a tour around the Island of Ortigia before heading back to the train for lunch. This afternoon the train will meander north-eastwards, allowing us to enjoy passing through the scenic Sicilian landscape with views of Mount Etna before arriving in Catania where you will have the option of free time to explore the various characterful squares and churches. This evening we arrive into Taormina, our final destination and transfer to the Belmond Grand Hotel Timeo for a two-night stay. 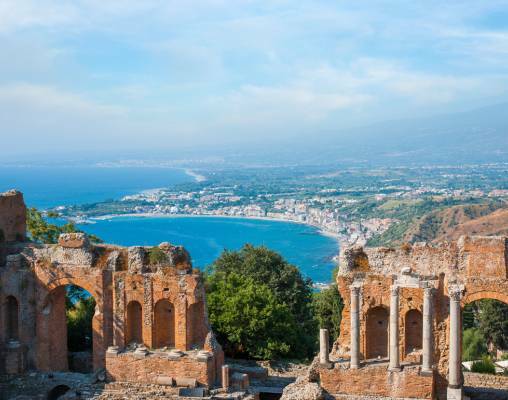 With views overlooking the gulf of Naxos and Mount Etna, the city of Taormina makes for a truly memorable setting for the end of our voyage. A privately guided tour of the Mount Etna museum with a local volcanologist will start our day before taking time on the slopes of the geological wonder itself at a Sicilian Palmento. Here you’ll sample local wines and eat lunch amongst the vineyard. This afternoon, relax among the gorgeous medieval churches and the stunning Greek theatre before we toast the success of the tour on our final evening at our farewell dinner, complete of course with fine wine. After breakfast, transfer to the airport for onward departures. 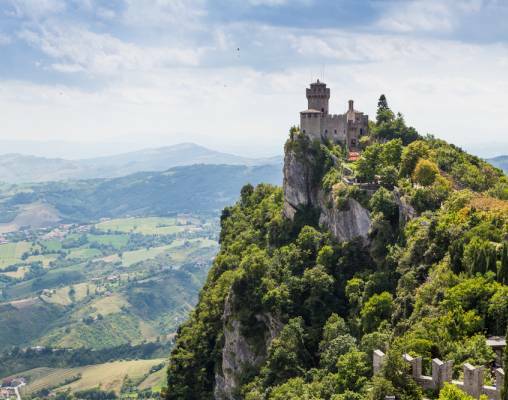 Enter your details below if you would like to be notified when 2020 dates and prices are available for The Golden Eagle Danube Express - Sicilian Odyssey.